Our staff is comprised of experienced, compassionate people who love your pets. Your questions are always welcome and will be thoroughly answered. We utilize state-of-the-art technology and services to provide complete emergency care as well as general health care. Our hospital is equipped to treat your pet in a time of crisis, and we are also here for the day-to-day preventive, vaccines, dental care, routine and emergency surgeries. In addition to routine spay, neuter, hernia surgeries, we also perform ACL surgeries, luxating patella and bone fracture surgeries. Client education is a very important aspect of our veterinary practice. We seek out every opportunity to educate our clients about responsible pet care because we strongly believe that a well-educated pet owner has the potential to be a better pet owner. We encourage you to explore our educational tools and pet owner resources available on our website. Our team is always available to answer your questions and address your concerns. As your pet care provider, we make it our priority to be there for you. 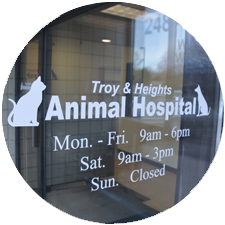 Troy & Heights Animal Hospital serves cities of Troy, Sterling Heights, Rochester Hills, Warren, Madison Heights, Berkley, Birmingham and surrounding area. Your pet’s first exam free, feel free to visit us with your furry friends. Troy & Heights Animal Hospital is owned by Dr. Tejiner Sharma & Dr. Sunita Rani. They live in Troy with their two children and two dogs. View some pictures of our facility, staff and our furry friends! If you’d like your pet included in our gallery please send photos to us here. Click through to browse our services. If you have a question about a particular service, please don’t hesitate to contact us. 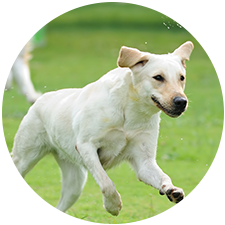 Provided by Pet Assure, over 150 educational articles about canines and felines relating to diseases and their prevention.